I can't believe that we celebrated my sons 3rd birthday on Dec 2, 2012! He is getting so big and turning in to such a neat little boy. He has become obsessed, and I mean OBSESSED with Spider-Man. We really don't even know how it happened. Before we let him watch any Spider-Man cartoons, he was asking for toys and clothes that were Spider-Man themed. Eventually I found the Ultimate Spider-Man on Disney XD that he started to watch. He could watch that all day long if I let him. 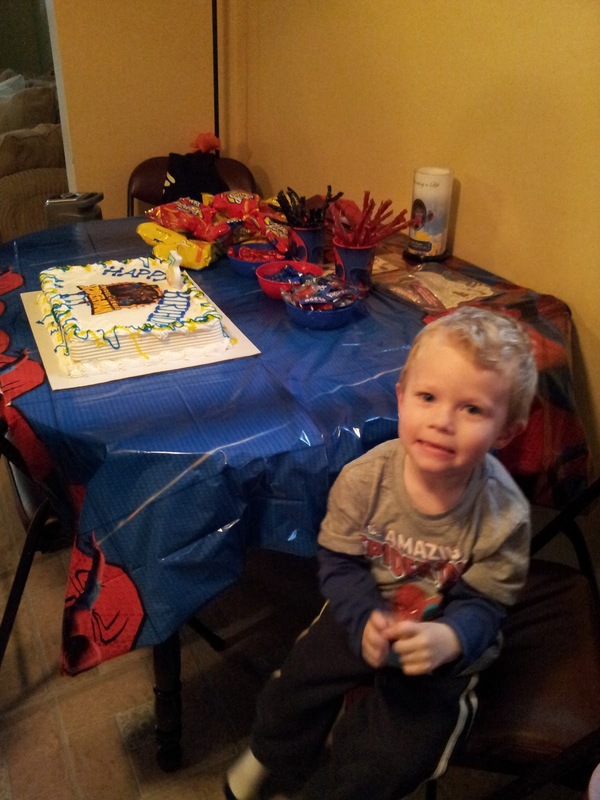 Our happy birthday boy by his Spider-Man ice cream cake! 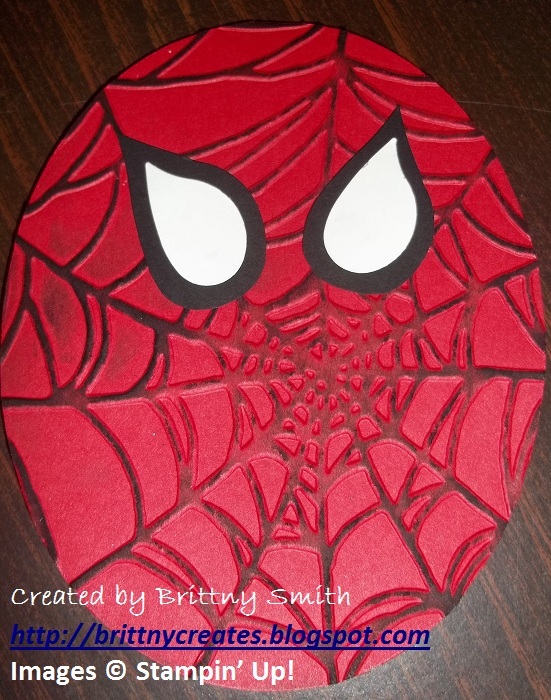 The first thing I did was send out these Spider-Man invitations. Read how to make these cards here. This will be hanging in his room probably forever! I found some great ideas on Pinterest. One of them was comic book letters by The Party Wall. 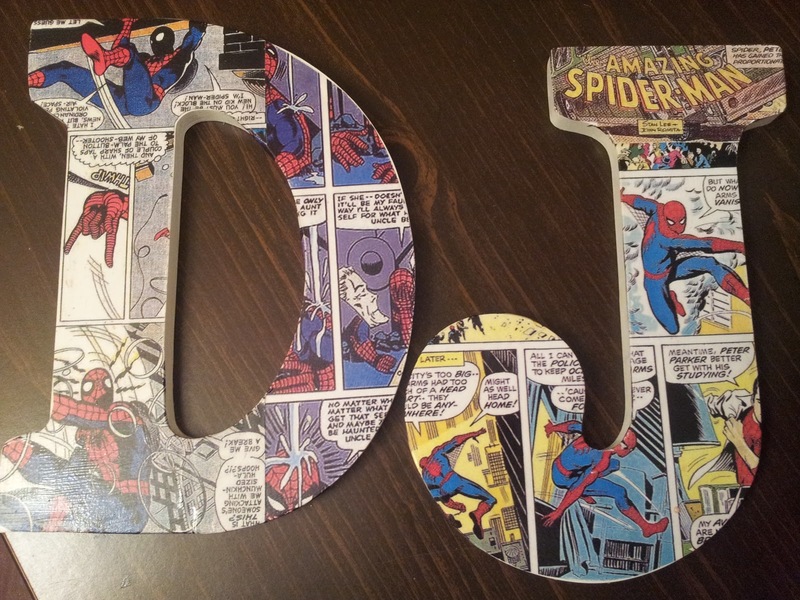 Click on the link to see a tutorial how to make these letters like I did for DJ. We had Spider-Man balloons and created a web using black streamers on our fan to the edge of our dining room. I am most upset that I didn't get a picture of this to share. 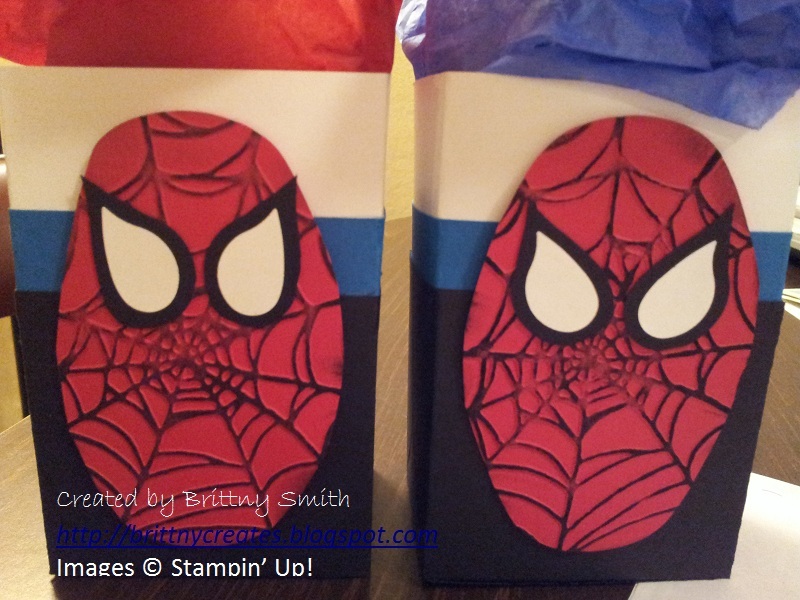 Our food items were red, black and blue themed or I created names to match our food like Super Spidey Sandwiches, Green Goblin Guacamole, etc. 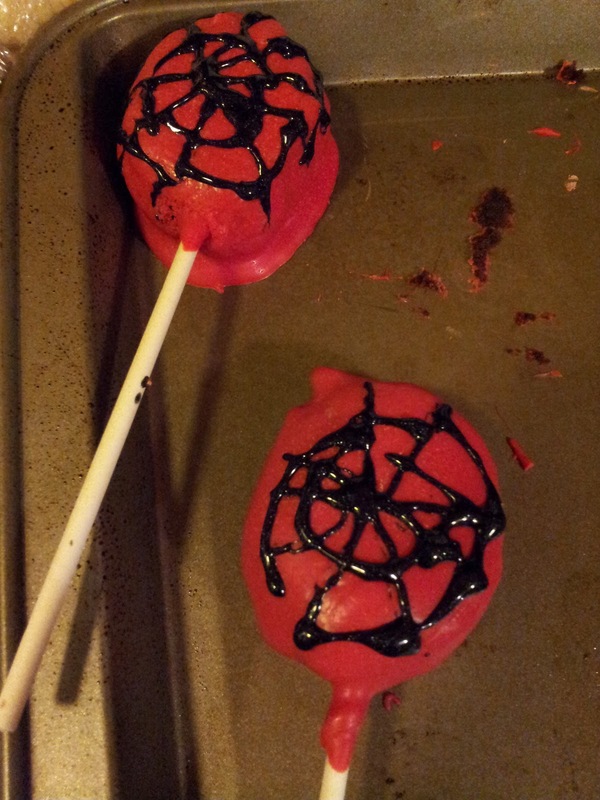 Pinterest also inspired me to try my hand at Spider-man cake pops. I have never done them myself but after reading and watching videos on how to make them, I didn't think they would be that hard. Boy was I wrong! People make things look so easy sometimes. I had a hard time dipping the cake pops into the chocolate without having the pop fall off the stick and into the chocolate. I think I made mine too big which caused them to be too heavy. So I compromised and poured the chocolate over the top instead of dipping and had them be hand held cake pops. The best part is they tasted good and that's all that mattered. Here's what two of my cake pops with sticks looked like. My niece asked to help draw on the spider webs so I let her! I really had such a blast planning and creating this party. 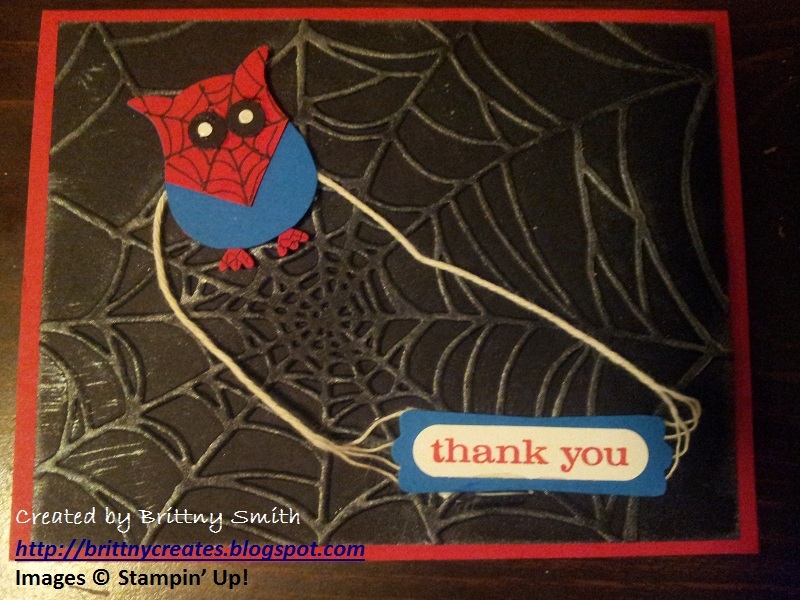 I am going to try to start doing this more with my Stampin' Up! business. 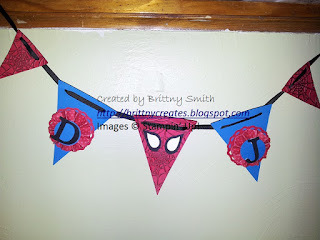 Who wouldn't want a personalized birthday party like this one?! Next up is my other sons 2nd birthday which will be car and truck themed!